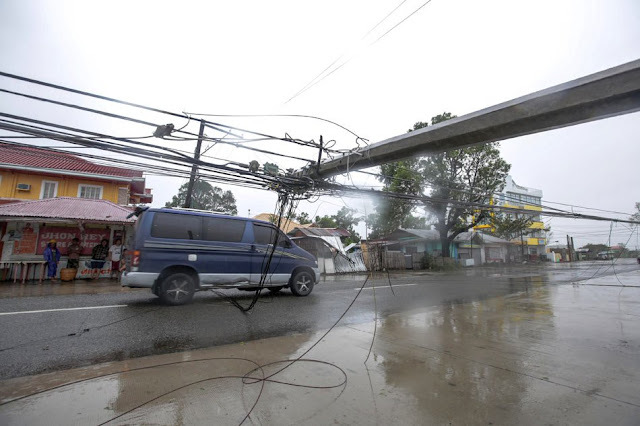 MANILA -- Exactly one week after Typhoon Ompong left the Philippine Area of Responsibility (PAR), the Department of Energy (DOE) reported that power was restored in 79.19 percent of the affected areas. "Ompong" affected 2,366,504 households after it made a landfall in Cagayan on Sept. 15. As of Sept. 22 evening, the DOE reported the re-energization of 1,871,707 households. Fourteen provinces are still undergoing rehabilitation. The affected areas have different timelines for power restoration, depending on their location and situation. DOE Spokesperson Felix William Fuentebella previously pointed out that the different situations and terrains in the affected areas are a challenge in power restoration. "Access is the main problem in power restoration," he said. The DOE targets to finish restoring a transmission line in Cagayan by Monday.